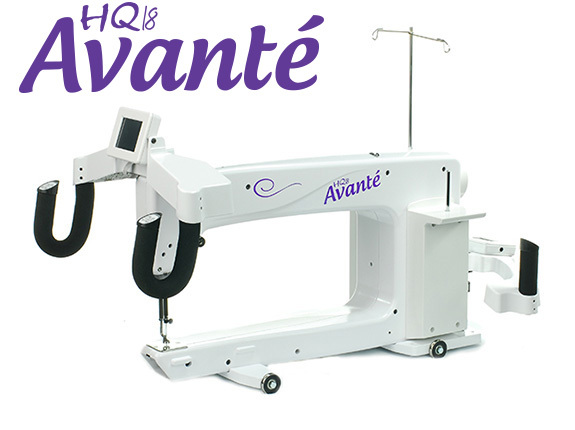 The HQ18 Avanté offers expanded quilting space, two modes of stitch regulation and the HQ Precision-Glide Track with an 18-inch quilting machine. HQ integrated technology and HQ engineering provide all of the functionality that quilters demand along with the smoothest stitch in the industry. This quality product is backed by the HQ warranty and a large network of local representatives. Four basting-stitch options: Basting stitches can be set to 0.5 inch, 1 inch, 2 inches, and 4 inches. Save three manual speed settings for quick access.